Staying active throughout life plays a crucial part in both mental and physical health. 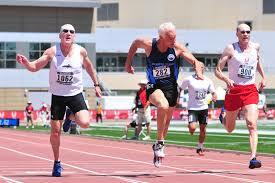 According to the World Healt h Organization, only 22% of the population 65 years and older continues to exercise regularly and that number splits in half as adults reach the age of 85 years of age. With less time spent exercising, we are putting ourselves at risk for a number of chronic diseases such a heart disease, type two diabetes and stroke. It also leads to poor bone health (especially in women) increased blood pressure, obesity, increased risk for falls, decreased mood and decreased quality of life. 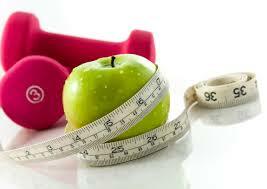 With experience working with older adults, there are a ton of ways for everyone to meet the exercise recommendations. 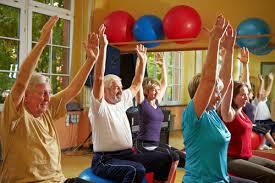 What is recommended for older adults and exercise? Water aerobics: What a great workout! This workout it easy on your joints and gives a total body burn at the end. Circuits: Circuits of any kind can be used for both strength and cardio training. The best part is that they as hard or easy as you want. Body Weight Exercises: No need for a gym for these exercises!